Welcome to the TailGate Mug Club! At first, we were the only Mug Club in Nashville. Now it’s our mission to stay the best Mug Club in the city! Discounts. Access. Cred. $60 and a palate for great beer! Access to our once-a-month $1 Mug, Mug Club Thank You! More deals, discounts, and bonuses to roll out throughout the year!Sign Up at your closest TailGate Location today! Your membership benefits go live the day you sign up! 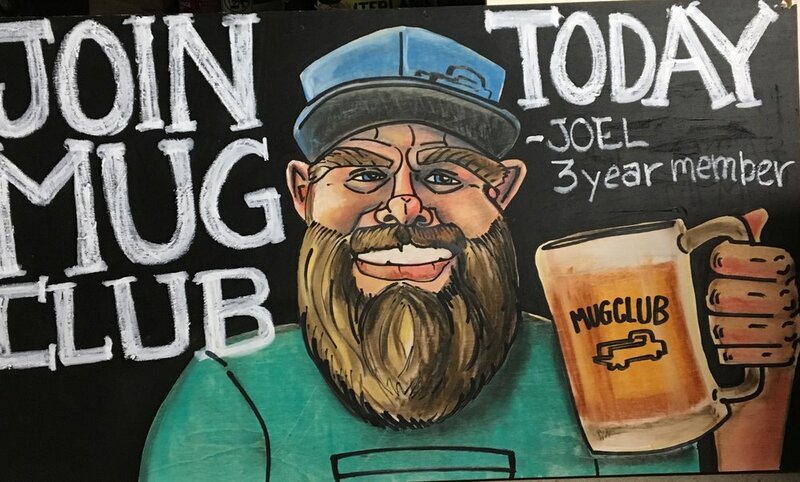 Mug Club Cards must be shown every time you join us. These cards will be swiped to enter your discounts on your tab. If you do not have your card with you at time of purchase you will not receive your member discounts. Member benefits will apply to only the member. Not your party. Please don't count on our awesome staff to remember you.